Susan Payne, Marion Power and June Sullivan. THERE’S more to the Easter weekend than the art of scoffing chocolate eggs. 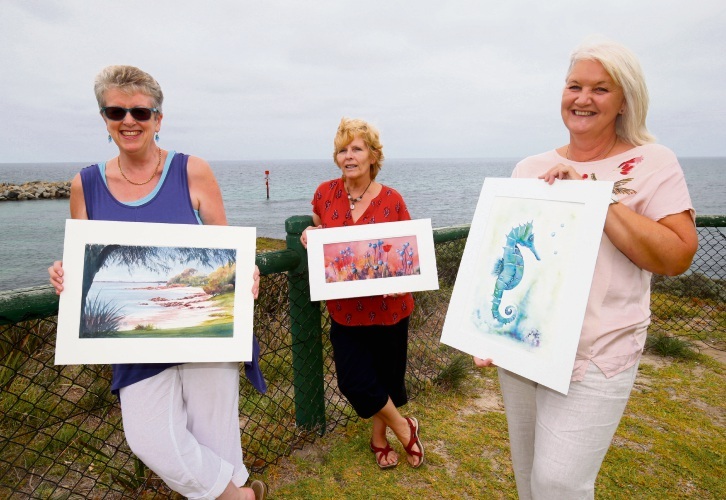 To take in some actual art, head to the Ocean View Art Group’s annual exhibition at the Sorrento Surf Life-Saving Club from March 31 to April 1. Group member and Wanneroo resident Sue Payne said the free event will run from 8am to 5pm and showcase original artworks, prints, cards and unframed paintings. “There will also be a raffle for an original artwork and an Easter hunt with a difference,” she said.